Nii paistab ülevalt Eesti suurim valgustatud kasvuhoonete ala - Grüne Fee õhuvaates nii päeval kui öösel. Kuidas kasvavad kurgid, salatid ja maitsetaimed Grüne Fee kasvuhoonetes ja kuidas need inimesteni jõuavad? 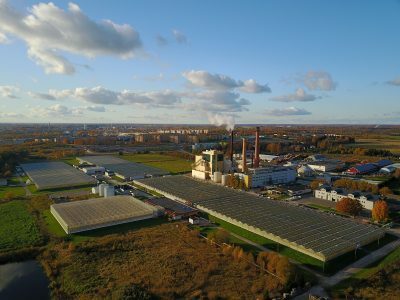 AS Grüne Fee Eesti (GFE) is a joint Estonian-Finnish company founded on June 30, 1993 on the grounds of the former Anne plant nursery of the Luunja state farm. 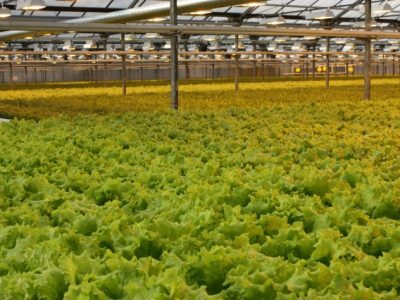 Our core activity is the year-round cultivation of cucumbers, lettuces and herbs for the Estonian market. 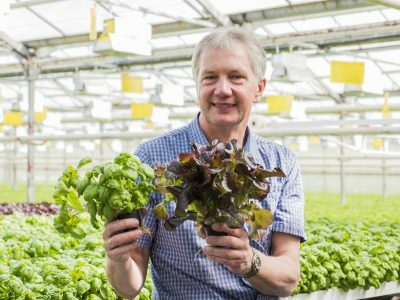 Local production means happy customers, as, according to specialists, locally grown food is simply the best choice for satisfying consumers’ energy and vitamin needs. However, we don’t leave our neighbours wanting either: what we export mainly goes to Latvia, Lithuania, and Finland. As Estonia’s largest producer in this field, we employ more than a hundred people. Over the years, we have been granted a number of awards and recognitions, thanks to which Grüne Fee products have earned a firm place in our customers’ hearts. Our production process is characterised by the constant development and application of the latest scientific advancements. 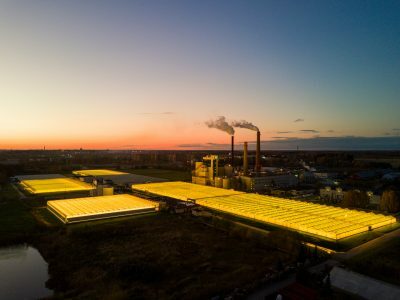 GFE was the first enterprise in the Baltics to implement new technology which allows vegetables to be produced in greenhouses all year round thanks to additional lighting. 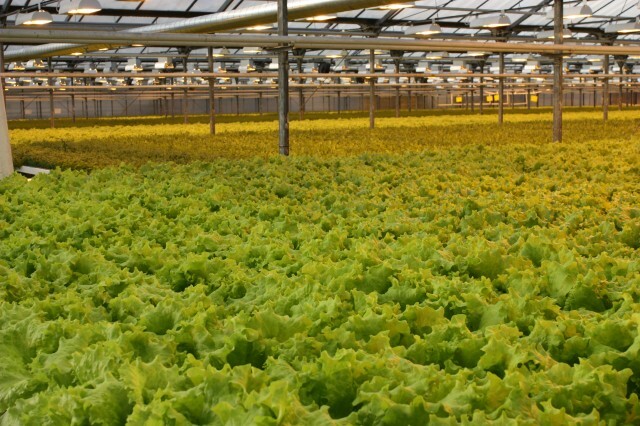 This has increased our crop yields and made fresh domestically grown vegetables available throughout the year. 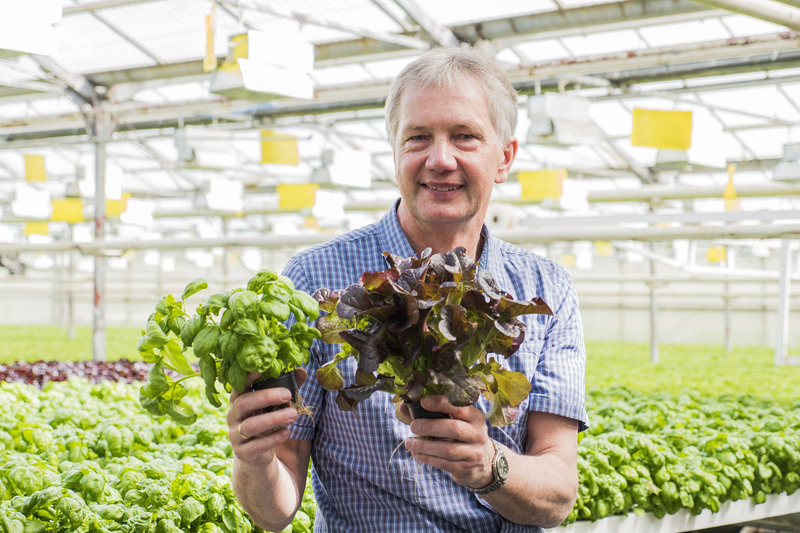 Our lettuces and herbs come in a small pot that contains the moisture required to ensure a longer shelf life for the plant. Cucumbers are wrapped in plastic to help them last longer (up to 3 weeks at 10–12 °C). Plastic-wrapping of cucumbers is also important for food safety and hygiene in self-service stores. We use an automated production process with temperature control that is accurate to a tenth of a degree, and nutrient dosage control accurate to one milligram. Due to the unique technology we utilise, GFE is one of the largest consumers of electricity in southern Estonia. In 1997, rising energy consumption and energy prices drove the company to become the first producer of combined heat and power from natural gas in Estonia! GFE products comply with the requirements of the “Eestis kasvatatud” (Grown in Estonia) quality label. Biological pest control or biocontrol is an agronomic plant protection technique that involves killing pests using their natural predators, i.e. predatory insects. 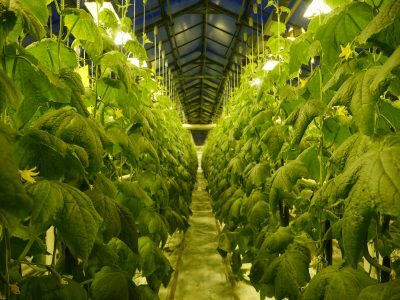 Although biocontrol is an expensive method, it eliminates the need for using chemical insecticides during the growing period of the plants. This enables us to keep our products as well as the environment clean. The main pests that can harm cucumber plants are red spider mites, thrips, aphids, and whiteflies. They commonly find their way into greenhouses from the surrounding environment. To control red spider mites we use the predatory mite Phytoseiulus persimilis, to control thrips we use the Amblyseius cucumeris mite, for aphid control we use the parasitic wasp Aphidius colemani, and for controlling whiteflies we use the hymenopteran Encarsia formosa. We also utilise sticky traps to help us determine the species and origin of the pests flying around in our greenhouses so that we can give them a proper “welcome”. The main pests for lettuce plants are aphids and sciarid flies. To control the former, we use the parasitic wasp Aphidius colemani who lays its eggs inside aphids. The entire pre-adult development of this parasitic wasp takes place inside the aphid. This eventually turns the aphid into a mummified shell. A single wasp can destroy up to a hundred aphids. To control sciarid flies, we mix ENTONEM into our plant-growing peat, which is a preparation containing parasitic nematodes (Steinernema feltiae). The nematodes enter the body of sciarid fly larvae where they begin to develop, feeding on the tissues of the larvae. As a result, the sciarid fly larvae die within a few days. We also mix GlioMix into our growing peat, which is a preparation containing spores and hyphae of Gliocladium fungi. Gliomix promotes the reproduction of beneficial microorganisms in the plants’ growing medium, improving root growth and protecting plants for various diseases.